From the designers of Azul and Roll For It! 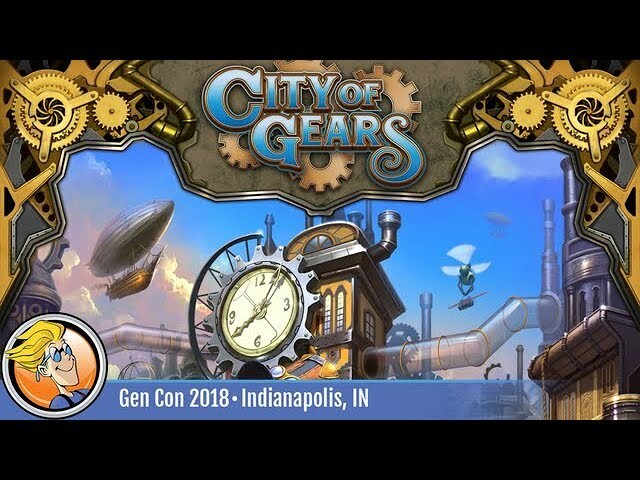 comes City of Gears, a steampunk board game of exploration, area control, worker placement, and engine building. As owner of an incredible Factory, you must race to claim ownership over the magnificent ruins of an abandoned clockwork metropolis, activating city tiles with production dice, moving automaton workers and placing gears to reactivate parts of the city, sabotage opponents, and use unique steam powers - all while developing your factory to provide you with powerful bonuses. Buy City of Gears for a game of plans concocted, prestige accrued, and opponents hindered. Do you have what it takes to set the City of Gears in motion?